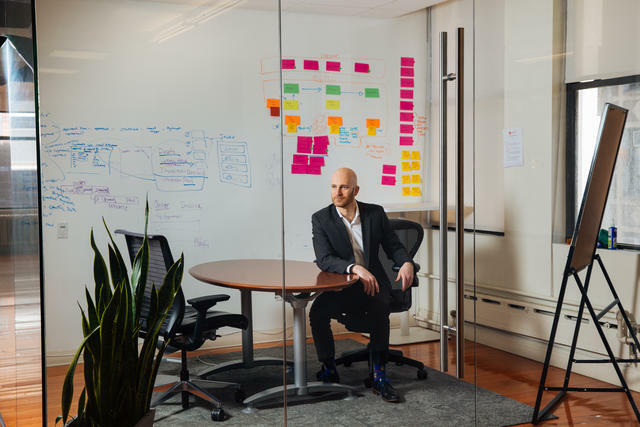 When it comes to the extremes of the startup spectrum, three-time founder, investor and New York tech ecosystem advisor Jeff Wald has seen it all. Many founders and startup leaders find themselves facing a similar stack of hidden defeats, setbacks and feelings of inadequacy, a tower of self-doubt that looms large, despite valiant attempts to shore up the base. But in Wald’s view, too few take the next step of copping to that feeling. And that omission sacrifices much needed depth and dimension in the broader conversation about failure in tech. That’s not to say that the topic doesn’t come up. After all, phrases such as “fail fast” and “celebrate failure” are frequently thrown around in the startup world, and we’ve seen many a successful leader get up on stage to talk about their biggest mistake. But all too often, the conversation stops there — few keep digging to uncover stories of failure that aren’t confined safely in the past tense, wrapped in platitudes or buttressed with follow-on successes. True vulnerability about how those personal struggles are currently rearing their heads in the here and now is a rare sighting. In this exclusive interview, Wald reflects on the seldom discussed truths from his brushes with failure by walking us through three specific challenges founders face when it comes to opening up. He also shares effective tactics for traveling further down the road of vulnerability and tools for extracting key lessons from failure, as well as the advice he would have welcomed as he was going through it. For founders fresh off a failure (or for those who feel they’re precariously teetering on its very edge), Wald shares invaluable perspective and helpful wisdom for getting back in the game. Here’s the difference between talking about failure and getting truly vulnerable: Vulnerability is necessarily personal while failure is not. Don’t conflate the two. Wald is the first to admit that he’s avoided practicing this kind of true vulnerability most of his career. Take the failure of his first startup, Spinback, where co-founder issues gave way to contentious legal disputes that caused the company to collapse and forced Wald to reach into his own pocket to pay back investors. “The first thing I did was not talk about it at all — not in any way, shape or form did I acknowledge the failure, the depression, the isolation and everything else for many years,” he says. Wald continued to bottle it up — until the narrative changed. The company was reformed with new leadership, and was acquired by Buddy Media (which was then in turn acquired by Salesforce). “All of a sudden, it went from this huge gap in my career that I always skated over to ‘Oh, I founded this company called Spinback and through various twists and turns, it got sold,’ which of course wasn’t completely candid. It was only later when I was further along in my journey and my new venture WorkMarket was proving successful that I felt confident in revealing more about what actually happened and the toll that it took,” he says. And even further down the road? Talking about the potholes ahead, not just the ones in the rearview mirror. “Putting out stories about failures in a past context, while helpful, doesn't feel like some big act of courage to me. We need to take the conversation to the next level. The better approach is to talk about things as you're struggling with them, displaying weakness in the present tense. Vulnerability is opening up when it can actually hurt you,” says Wald. It’s one thing to bring up how you’ve failed in the past, especially when you’ve since attained success. Talking about issues I still struggle with and showing any kind of weakness — present tense — feels more daunting. The broader narrative around success and failure in tech didn’t help Wald’s innate hesitation to open up and leave himself exposed. Founders miss crucial relative context and level setting around their work. You might feel like your failures are more catastrophic than they really are, or that your achievements don’t clear the bar for success. Don’t listen to that voice. Look beyond the story of a sale. Back when Spinback first failed, Wald felt an intense pressure to salvage some sort of outcome. “Over and over in my mind, I kept thinking ‘If I could sell it for a dollar, I could just tell people it sold.’ The money didn't matter. It was the story that I could tell to myself and others,” he says. And it’s a mindset he’s noticed ingrained in other founders as well. “I’ve invested in a lot of companies that failed and I see the same thinking, the same anguish from those founders. I’m not arguing that selling isn’t a better story, but don't get yourself wrapped around the axle on it. If it works, great. If not, you gave it a shot. You need another couple of at-bats to get it right,” says Wald. Don’t just read about industry deities — take inspiration from the founders that surround you. You need to hear the stories from the trenches that will help keep you going. Fighting and fallout between co-founders is a huge source of tension in many startups, but it’s one we don’t hear too many details about, especially as lawyers and comms teams start to get involved. But it’s a challenge Wald has encountered twice, both at Spinback and at WorkMarket. Even though failing to choose the right co-founder in the first place or maintain a healthy working relationship later on is one of the biggest startup killers, honest discussion around the specifics of how it can go sideways is rare. Wald believes this is because many other startup causes of death are still, to some extent, beyond founders’ control and easier to depersonalize. The co-founder relationship is 100% in control of those people. That failure is the easiest, in theory, to avoid. But it requires the building of trust, which in turn requires vulnerability. Neither are easy and both are overlooked. Building trust and alignment from the start is critical — but it requires allowing conflict to enter the room. Nowadays when co-founders come to Wald looking for an angel investment, he relies on a key question to probe the strength of their relationship and willingness to get vulnerable. “I like to ask ‘Have you had a fight yet?’ And if they say, ‘No,’ I’m pretty hesitant to invest,” he says. If Wald were to decide to work with another co-founder on a new venture, he has a better sense of the qualities he’d try to suss out. “I’d look for somebody who I thought was in a growth mindset. A person who was willing to be vulnerable and have real conversation. If they’re able to share the times where they’ve really failed and the things they’re insecure about or ashamed of, then I don’t doubt we’d be able to build trust and healthy conflict,” Wald says. "You'll look back and be grateful for this time in your life. It'll be a formative experience." When working through those challenges as a founder, Wald heard countless variations on these well-meaning words of advice. And although he’d agree with the substance of this counsel today, it wasn’t what he wanted or needed to hear at the time. 1. You’re not the only one who’s failed. In theory, Wald knew he wasn’t the only founder coping with a defeat. But swimming in the despair of losing his first company, he felt isolated and alone. Failure is not an indictment of who you are. It’s a learning process. You went through it. And from a probability standpoint, you’re more likely to be successful next time. 2. The only thing you owe your investors is your best effort. With Spinback’s co-founders embroiled in legal conflict, Wald thought his backers deserved to see their money returned. If your company fails, you don't have to make it up to your investors. You don't owe them a thing — unless you really didn’t try. Failure has been an invaluable teacher for Wald, but only because he put in the time to excavate its lessons. “Failure can be something that happens to you, or it can be something you learn from. But that doesn’t happen through osmosis, it takes a lot of concentrated effort and dedication to unearth the takeaways,” he says. For Wald, moving past the notion that his failure defined him ultimately required professional help. And something he'd once scoffed at — working with a coach. When first approached with the idea, he wasn’t too receptive. “One of the WorkMarket board members took me on a walk and said, ‘We think you need to get a coach’ and I said, ‘I think you need a coach,’” Wald says. The board member, however, made it clear that the suggestion wasn’t optional. Wald’s coach exposed him to Brené Brown’s work on vulnerability and the growth mindset, pioneered by Stanford University’s Carol Dweck. “In the fixed mindset, we're trying to prove ourselves and in the growth mindset we're trying to improve ourselves. I realized that at WorkMarket I had so many insecurities and I was trying to prove that I was the smartest guy in the room,” he says. For Wald, that goal-focused framework was an incredibly simple, but clarifying and impactful tool. “I now apply that mindset to everything that I do. Take even a silly example, such as when you’re trying to order lunch and the person behind the counter isn’t paying attention. You get frustrated and think, ‘What the heck?’ But then you remember that your goal is not to fix this company’s operations or make this person a better sales representative. Your goal is just to buy the sandwich,” he says. Whether it’s ordering a sandwich at a deli or leading a project at work, staying focused on your goals — on what’s important — is key to getting out of your own way. If every employee at your startup can't clearly articulate what you do or where you're going, you’re not increasing your company’s probability of success. And for Wald, his learning and growth is still a work in progress. “After an acquisition, people always ask you, ‘Why are you sticking around?’” Wald says. “First, ADP invested in me and my team, and I want to make sure they see a return on that. I am aware that, while WorkMarket was a great outcome, it was not the billion dollar outcome we all shoot for, and I’m aware that my shortcomings as the leader of the company were a very large variable in that,” he says. “ADP is helping me through leadership training, and it’s giving me the opportunity to make myself a better manager and a better person. I know I’m going to be a founder again. Everything I learn here will help make me a better one,” says Wald. Wald noticed a considerable difference in his employees’ engagement after working with his coach. This made him realize just how important it is for founders to note whether employees are staying at a company for the opportunity or for a founder’s leadership. The common denominator for all leaders is that they have followers. You can have whatever style you want, but the question is: Are people following you? And will they follow you when things aren’t great? The startup journey is a rollercoaster that requires resilience and reflection to get through the many twists and turns. And while opening up about failure and personal struggles can help lift the load, there’s considerable baggage around and hesitation towards stepping into those conversations. Don’t get discouraged by exaggerated narratives around success and loss. Instead, connect with other startup leaders who understand your context and look for ways to give back in the tech community. Bake trust and a willingness to get vulnerable into co-founder relationships right from the start — and don’t be afraid to get into a fight. Remember that failure isn’t an indictment, but rather a learning opportunity. Consider working with a coach to perfect your growth mindset and stay focused on your goals.